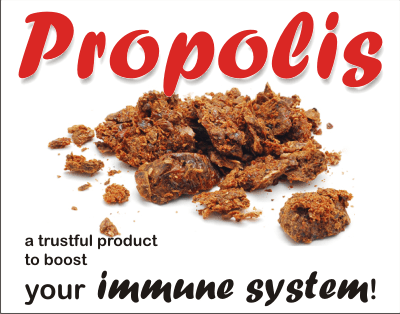 Traditional medicine keeps on telling us and science has confirmed: propolis is a natural product that boosts the immune system. Or, how they put it, it has immunomodulation effect. Immunomodulation effect – an expression we often hear, though few of us understand the meaning. The term “immunomodulation” refers to altering the immune system. Modulate immunity. And it may occur in both directions: to increase its power or to decrease it. 1. Immunosuppressants inhibit the immune response. 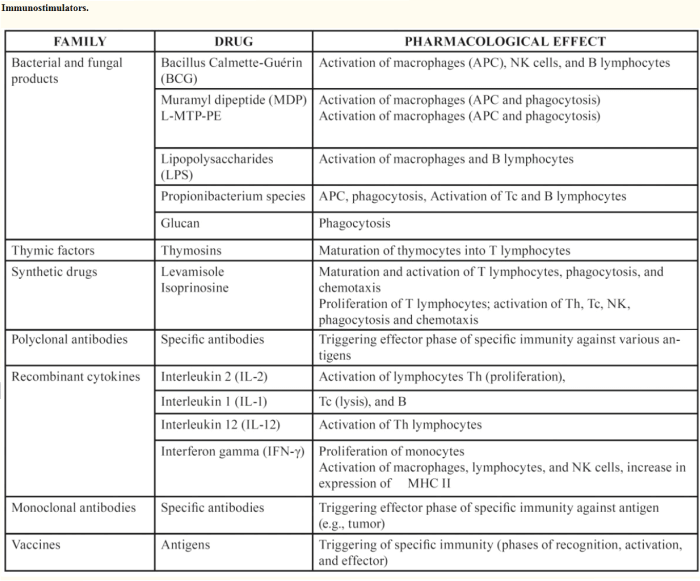 These drugs are used in organ transplantation and in autoimmune diseases (eg. pemphigus, lupus, allergies, Type 1 diabetes mellitus, rheumatoid arthritis, multiple sclerosis, psoriasis, inflammatory bowel disease) to decrease the production of serum antibodies and stop the body from attacking itself. 2. Immunostimulants increase the immune response to better fight infections, tumours, primary or secondary immunodeficiency (AIDS cases). The term immunomodulation is used rather than immunostimulator, for substances that increase immunity. What can alter the immune system? In other words: what has an immunomodulating effect? There are many factors that may alter it, either increasing or decreasing its properties. We need to think of our immune system as highly connected to our whole system, not as an individual one. It has to be holistically approached and I recommend first reading the 20 factors that may interact and change our immunity. Some microorganisms (bacteria, viruses, parasites) are able to produce and excrete proteins that mimic the structure and function of cytokines. Often the result is a suppression of the host’s inflammatory response. Examples of microbes that produce cytokine-like molecules are the Epstein-Barr virus, poxvirus, vaccinia virus. – The protozoan Trypanosoma cruzi can regulate the activity of complement before infecting human cells. (The complement system is a collection of blood and cell surface proteins (at least 30) representing a major primary defense and a clearance component of innate and adaptive immune responses.) Trypanosoma cruzi blocks the activation of cytokines by an as yet unknown mechanism. The result is a severe suppression of the immune system. – Herpes simplex virus types 1 and 2, the viruses responsible for cold sores and genital herpes in humans, resist the action of complement. The presence of specific viral proteins are required and may act by disrupting a key enzyme necessary for complement manufacture. – Adenoviruses also block cytokine expression, at the level of transcription. – Hormones. Physiological factors, stress for example, are known to be capable of suppressing various aspects of the cellular immune response. The release of various hormones may disrupt in the normal expression of cytokines. Specifically, those cytokines that suppress inflammation are more evident, either because of their increased production or the decreased production of cytokines that activate inflammation. There are bacteria, viruses and parasites able to modulate the immune system by affecting the way antigens are exposed on their surfaces. Antigen presentation is a complex series of steps. By controlling or modulating even one of these steps, the antigen presentation process can be disrupted. The formation of antibody is thus affected. • Exercise. Science says that moderately active people have macrophages that are more capable of killing tumors, due to the increased production of a compound called nitric oxide. This population also displays lower incidence rates for cancer and other chronic diseases. √ Even sporadic exercise increases the ability of an immune system component, called natural killer cells, to eradicate tumors. x However, too much exercise is detrimental, being associated with increased susceptibility to respiratory tract infections. This indicates that the immune system is impaired in the ability to thwart infections. • Supplements. Based on traditional medicine, there are many claims today that certain products enhance particular aspects of the immune system, so as to more vigorously shield the body from infection, or the development of maladies such as cancer. We still call them “claims” as we lack rigorous medical testing despite the increasing number of research in the field. Natural remedies, supplements included, work in a holistic manner, in different protocols, starting from the idea that there are no diseases, only patients. That is not the disease that should be treated, but the whole patient. It is hard to statistically quantify the results from an allopatic point of view. 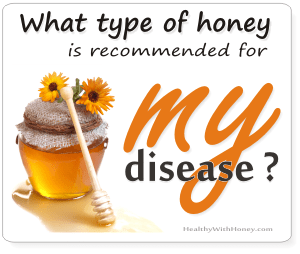 Nevertheless, the research continues and there are studies now that confirm the immunomodulating effects of all products of the hive: honey, propolis, royal jelly, bee pollen, apilarnil. In the latest years, research has provided important contributions to the comprehension of the relationship between propolis and the immune system. • In the study Immune’s-boosting agent: Immunomodulation potentials of propolis, by Al-Hariri M from the Imam Abdulrahman Bin Faisal University, Saudi Arabia, published in 2019, describes recent findings with respect to propolis and its ingredients that show potential in this respect and evaluate their potential mechanisms. The author believes that propolis or/and its ingredients alone and in combination could be promising in manipulating the immune response and inducing immunomodulation. • The study Propolis and the immune system: a review, by Sforcin JM from the Department of Microbiology and Immunology, Brazil, published in 2007, reviewed the immunomodulatory and antitumor properties of propolis, considering its effects on antibody production and on different cells of the immune system, involving the innate and adaptive immune response. In vitro and in vivo assays demonstrated the modulatory action of propolis on murine peritoneal macrophages, increasing their microbicidal activity, as well as its stimulant action on the lytic activity of natural killer cells against tumor cells, and on antibody production. In immunological assays, the best results were observed when propolis was administered over a short-term to animals. Propolis inhibitory effects on lymphoproliferation may be associated to its anti-inflammatory property. • The study Immune activation and radioprotection by propolis, by Takagi, Yasuyuki and his team,published in 2005, examined the radioprotective effect of Propolis by observing its effect on the immune system. total immunoglobulin (Ig) G and IgM was measured, as well as T-lymphocyte subsets in the peripheral blood of mice. Compared with the control group, the IgG was significantly reduced in the Propolis group and increased IgM production. The number of CD4-positive cells was increased only in the Propolis group. Likewise, the number of CD4-positive cells increased by 81% in the Propolis with irradiation group compared with the irradiation group alone. Compared with the control group, the Propolis group increased CD8-positive cells. Compared with the irradiation alone group, CD8-positive cells were decreased by Propolis with irradiation group. Propolis activated macrophages to stimulate interferon (IFN)-gamma production in association with the secondary activation of T-lymphocytes, resulting in a decrease in IgG and IgM production. Cytokines released from macrophages in mouse peripheral blood after Propolis administration activated helper T-cells to proliferate. In addition, activated macrophages in association with the secondary T-lymphocyte activation increased IFN-gamma production and stimulated proliferation of cytotoxic T-cells and suppressor T-cells, indicating the activation of cell-mediated immune responses. • The study Propolis effect on Th1/Th2 cytokines production by acutely stressed mice, from 2009, conducted by Pagliarone, Ana Carolina, Italy, investigated propolis effect on Th1/Th2 cytokines production by spleen cells of acutely stressed mice by determining the serum corticosterone concentration, as a stress indicator. The results showed that while propolis treatment was not able to counteract the stress-induced immunosuppressive effect on IFN-gamma production, propolis showed an immunorestorative role, increasing IL-4 production in stressed mice, favoring humoral immune response during stress. 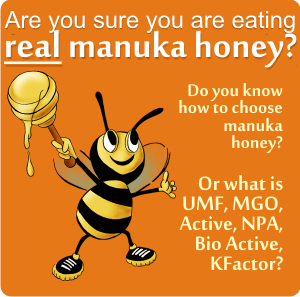 There are many studies discussing the immunomodulating effect of propolis. The National Center for Biotechnology Information (NCBI) lists 2937 studies related to propolis. By now, the use of propolis has been proposed in some patents related to the treatment of dental diseases; adjuvant in anti-cancer treatment; in cosmetic products; as an anti-inflammatory agent and natural antibiotic. We should also know that applicability of propolis to human health and mechanisms of action are not completely understood by our modern medicine. I personally always give my 8 yo son propolis water extract at the first signs of a cold. The symptoms are lowered and the time of recovery is reduced. Not to mention that cough doesn’t even shows up! (Propolis treats otorhinolaryngologic and respiratory diseases) Adults can take alcohol extracts but children should take water extracts. 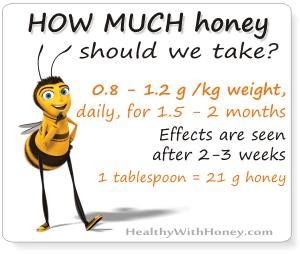 Make sure you are not buying propolis glycerin extracts, as these are not recommended. 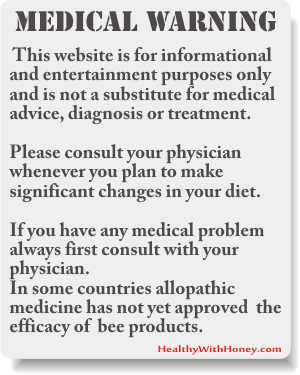 See Forms of bee propolis: ointment, pills, essence, spray, syrup, toothpaste and? 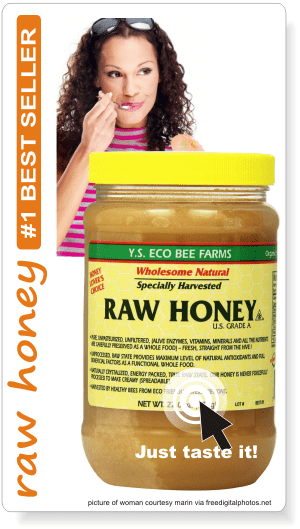 How to boost the immune system naturally – Part 2 What is Mad honey from Turkey, aka Deli Bal, and what is it good for?